Beischel, J. (2018, June). Living-agent psi is dead: Limitations of the language used to describe mediumistic phenomena. Presented at the 37th Annual Meeting of the Society for Scientific Exploration (joint conference with the International Remote Viewing Association). Las Vegas, Nevada. Beischel, J. (2016, June). Development of a comprehensive survey of secular American mediums. Presented at the 35th Annual Meeting of the Society for Scientific Exploration and 59th Annual Convention of the Parapsychological Association Joint Meeting. Boulder, Colorado. Beischel, J. (2015, May). Assessing hematological and psychophysiological correlates of anomalous information reception in mediums. Presented at the 34th Annual Meeting of the Society for Scientific Exploration, Rockville, Maryland. Beischel, J., Rock, A., & Boccuzzi, M. (2013, June). The source of mediums information: A quantitative phenomenological analysis. Presented at the 32nd Annual Meeting of the Society for Scientific Exploration, Dearborn, Michigan. Boccuzzi, M., Beischel, J., & Gebhart, R. (2012, August). Invited ostensible discarnate interactions with electronic equipment: A pilot study. Paper presented at the 55th Annual Convention of the Parapsychological Association, Durham, North Carolina. Beischel, J. (2012, June). Anomalous information reception by credentialed mediums regarding non-human animal discarnates. Presented at the 31st Annual Meeting of the Society for Scientific Exploration, Boulder, Colorado. Beischel, J. & Boccuzzi, M. (2012, April). The survival of consciousness hypothesis: Implications and applications. Workshop presented at Toward a Science of Consciousness 2012, Tucson, Arizona. Beischel, J., Boccuzzi, M., Biuso, M., & Rock, A. (2012, March). Anomalous information reception by certified research mediums. Poster presented at the 9th Bial Foundation ‘Behind and Beyond the Brain’ Symposium, Casa do Médico, Porto, Portugal. Beischel, J., Biuso, M., Boccuzzi, M., & Rock, A. (2011, June). Anomalous information reception by research mediums under quintuple-blind conditions: Can the mind exist without the body? Presented at the 30th Annual Meeting of the Society for Scientific Exploration, Boulder, Colorado. Beischel, J. & Boccuzzi, M. (2010, June). Evidence-based mediumship and survival research and its practical social applications. Presented at the Members Choice Forum of the 20th Annual Conference of the International Society for the Study of Subtle Energies and Energy Medicine (ISSSEEM), Westminster, Colorado. Beischel, J. & Rock, A. J. (2010, April). A phenomenological pathway to an empirically driven distinction between survival psi and somatic psi by research mediums. Presented at Toward a Science of Consciousness 2010, Tucson, Arizona. Mosher, C., Beischel, J., & Boccuzzi, M. (2010, April). The potential therapeutic benefit of mediumship readings in the treatment of grief. Poster presented at Toward a Science of Consciousness 2010, Tucson, Arizona. Beischel, J. & Rock, A. J. (2009, August). Addressing the survival vs. psi debate through process-focused mediumship research. Presented at the 52nd Annual Convention of the Parapsychological Association, Seattle, WA. Beischel, J. & Rock, A. J. (2008, August). Toward a process-focused approach to mediumship research. Presented at the 3rd Annual Alternative Expressions of the Numinous Conference, University of Queensland, St. Lucia, Queensland. Beischel, J. (2008, March). Distinctive traits of those who ‘speak with spirit’: analysis of claimant mediums’ unique personality characteristics using three standard questionnaires. Presented at the 28th Annual Society for the Anthropology of Consciousness Spring Conference, New Haven, Connecticut. Rock, A. J., & Beischel, J. (2008, March). Quantitative phenomenological analysis of mediums’ purported communication with discarnates. Presented at the 28th Annual Society for the Anthropology of Consciousness Spring Conference, New Haven, Connecticut. Stay up to date with Center news, resources, and research. 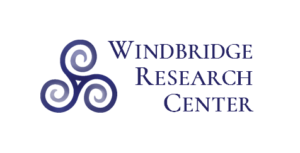 To support the two-fold mission of the Windbridge Research Center—performing rigorous scientific research and providing free educational materials to the public—please donate today. "They do the best mediumship research in the world." 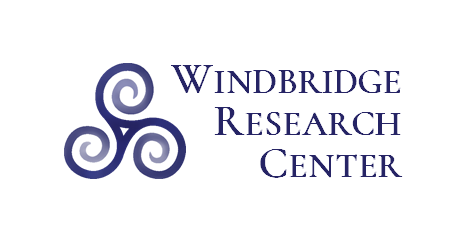 Sorry about the annoying popup, but I wanted to announce the formation of the new Windbridge Research Center, an Arizona non-profit corporation [501(c)(3) status pending]. The Center is dedicated to performing rigorous scientific research and creating educational materials focused on dying, death, and what comes next. Much of the work being done at the Center is an extension of the research that was done at the Windbridge Institute, LLC. The Center was created in July 2017 and we are still adding content to this site. I invite you to read my entire welcome message by clicking HERE.